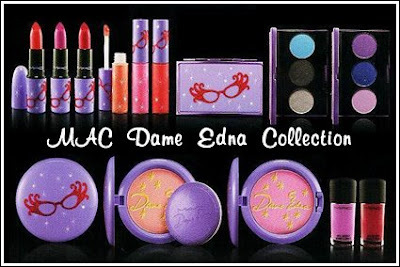 Dame Edna is another MAC collection that's got me drooling over the products (well not really, but you know what I mean). It's said to launch on the 26th of December, 2008 in the US - and I hope they also release it in the UK!! Read on to see collection details! I'm eye-ing Gladiola or Coral Polyp lipsticks, Hot Frost or Splendid lipglasses and one of the highlight powders! These all look sooo pretty!!! Grrr MAC!